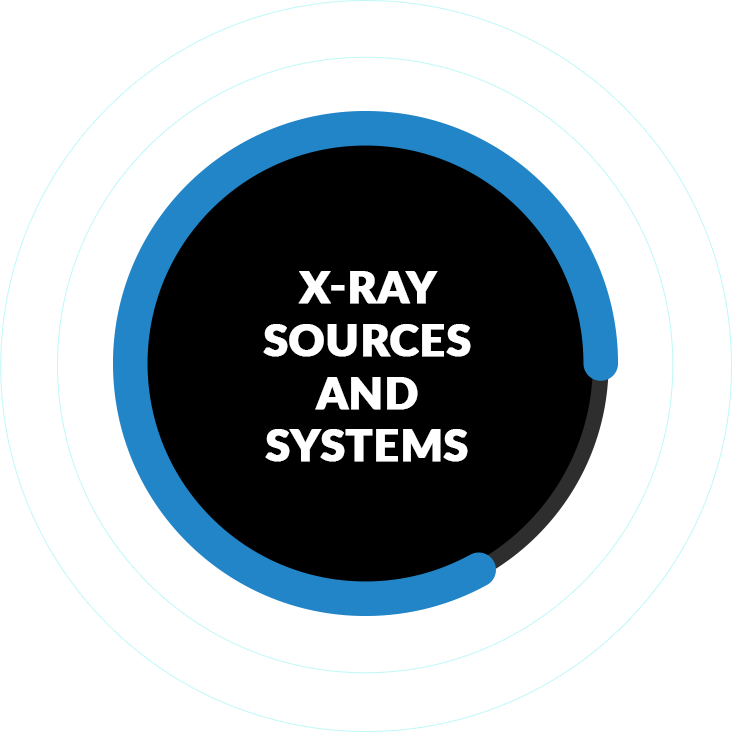 The foundation of any home X-ray diffraction system is the X-ray source. Rigaku has introduced a full line of X-ray sources ranging from the most high-power rotating anodes available in the world to high-brilliance microfocus sealed tubes. RIT introduces the MicroMax® 003F, our 6th generation of microfocus sources! MicroMax® 003F takes advantage of revolutionary electron beam focusing technology to produce small, stable X-ray spots with maximum power density. Closely coupling these high-power density, small spots to one of RIT’s state-of-the-art CMF optics yields a high-brilliance X-ray beam that can be matched to your application. 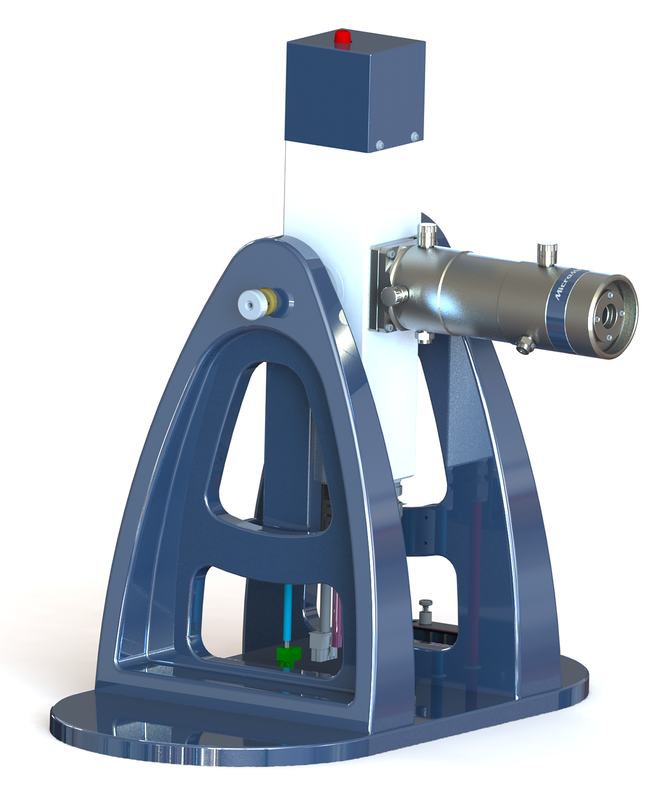 RIT has engineered the MicroMax® 003F X-ray Source system to be a modular and cost effective solution for new projects or as a replacement source to upgrade older systems. Virtually any analysis, such as protein crystallography, small molecule diffraction, XRD, XRF, SAXS, etc., can be enhanced with a MicroMax® 003F source that combines the straightforward source head design with a carefully chosen RIT optic. Since numerous optics are available for each wavelength, RIT is confident that a MicroMax® 003F system can be optimized to match your application requirements. Cu, Mo, Ag, Au, Cr and Rh. A further advantage of the MicroMax® 003F is the “green” aspect. By using a micro focus spot with an optimally designed, closely-coupled optic, the MicroMax® 003F produces a high-brilliance beam while consuming much less energy than a conventional X-ray source. The controller for the MicroMax® 003F accepts universal electrical power (100-250VAC 50/60Hz) and uses Ethernet based communication to your PC for easy installation anywhere. RIT’s team of experts is prepared to help you understand which source best serves your needs and to assist in installation to your instrument. Contact RIT for more information. 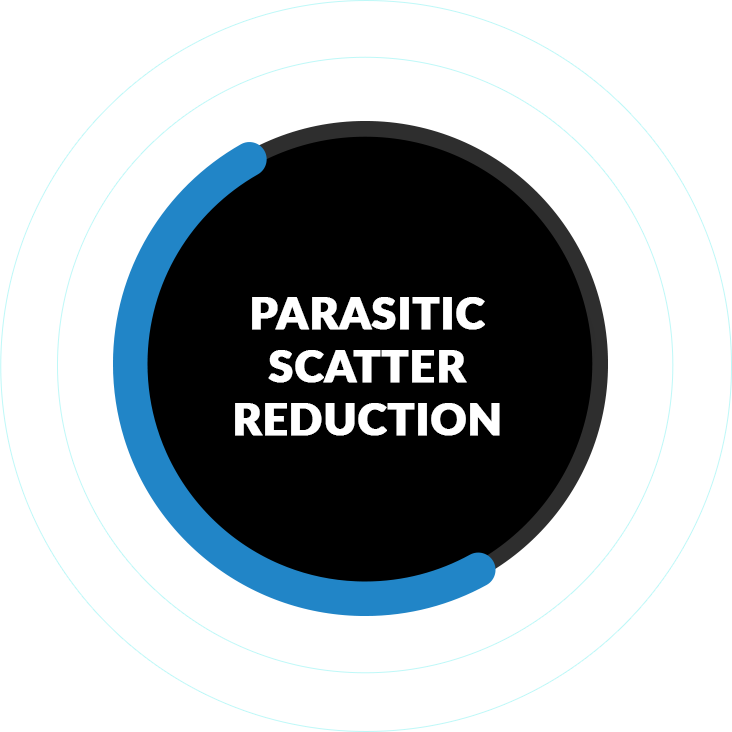 The PSR™ Scatter-Free Pinhole will accurately define the X-ray beam shape while minimizing parasitic scatter without increasing the beam divergence. By leveraging a scatter-free pinhole, RIT users can optimize their system layout and improve experimental data by reducing the parasitic scatter produced by conventional pinholes. 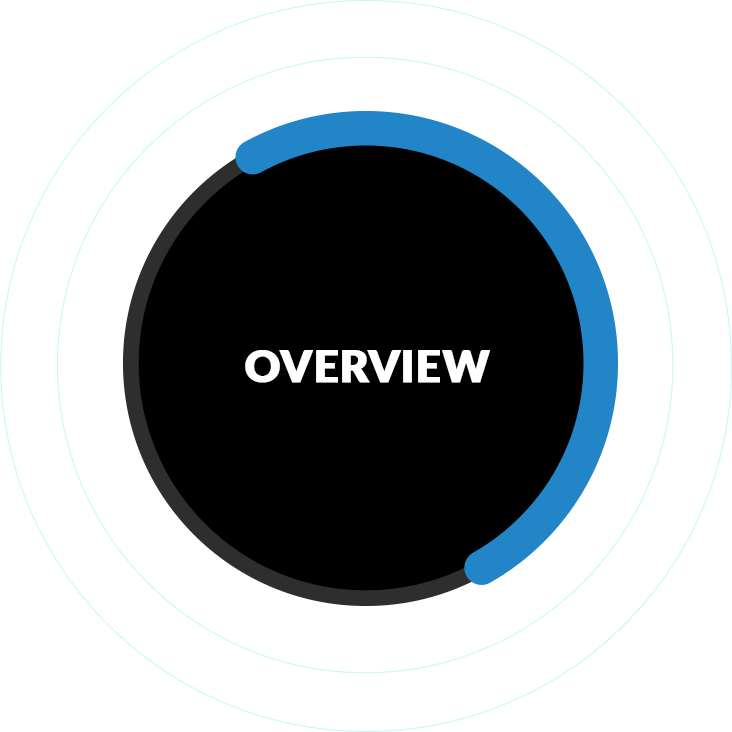 The PSR™ scatter-free pinhole is available in a variety of diameters with excellent accuracy and concentricity. In typical SAXS/WAXS systems, two pinholes are used to define the beam and a third pinhole is added to reduce parasitic scatter. 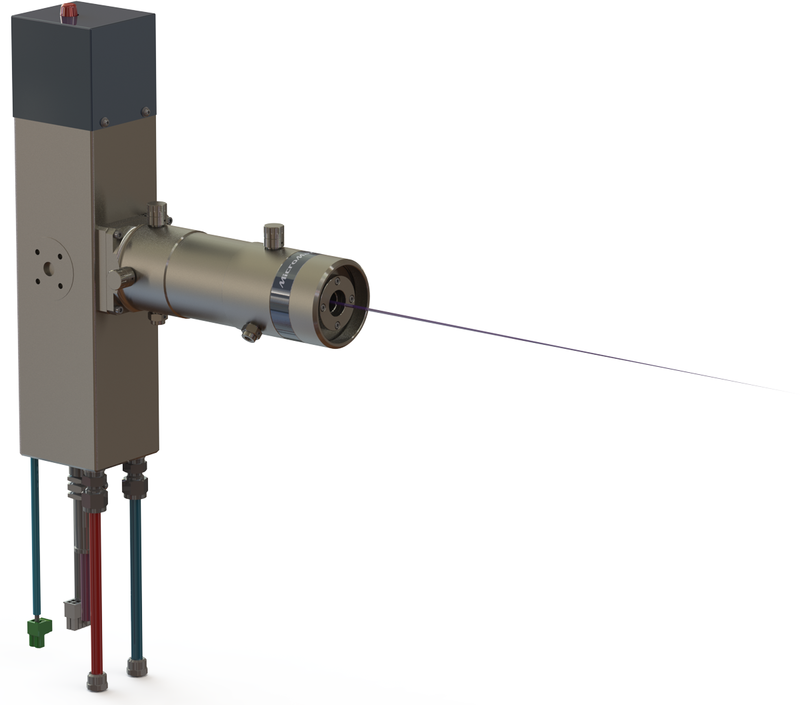 By eliminating the need for a third pinhole, RIT’s PSR™ technology allows a better optimization of the desired X-ray beam flux, system resolution and system length. For example, the overall system length can be reduced while increasing flux without reducing q resolution or, alternatively, the system length can be maintained with increased flux and much improved q.
RIT’s expertise and long history with different instrument designs allows us to quickly and easily create a new, custom built instrument or upgrade to your existing machine.